Omis is a city located in the centre of Dalmatia, near Split, and it is famous for its beautiful beaches, made of sand and rocks, and also for the adventurous sports that can be done while staying in Omis, such as rafting and climbing. A bit of adventure can be found also in the history of the city, which was a pirate port! Anyway, now you can be just a pirate that discovers food and ancient traditions! 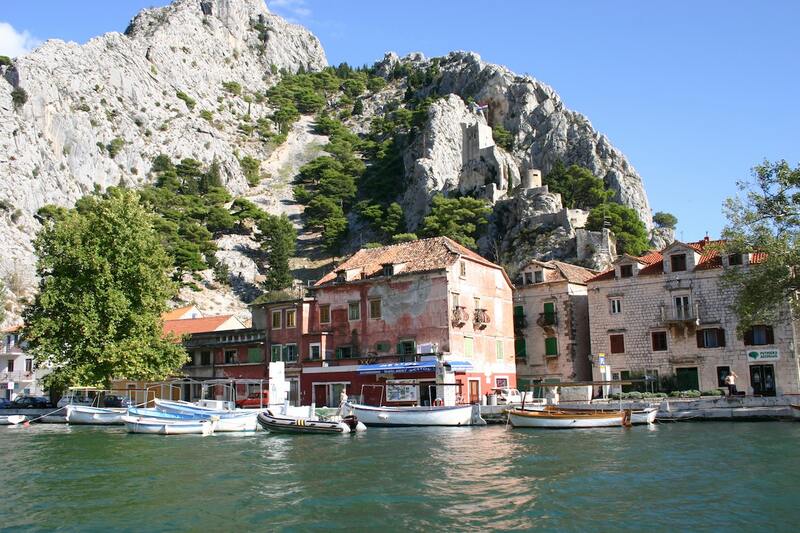 So, come for a holiday in Omis and you will see a fierce and beautiful side of Croatia! 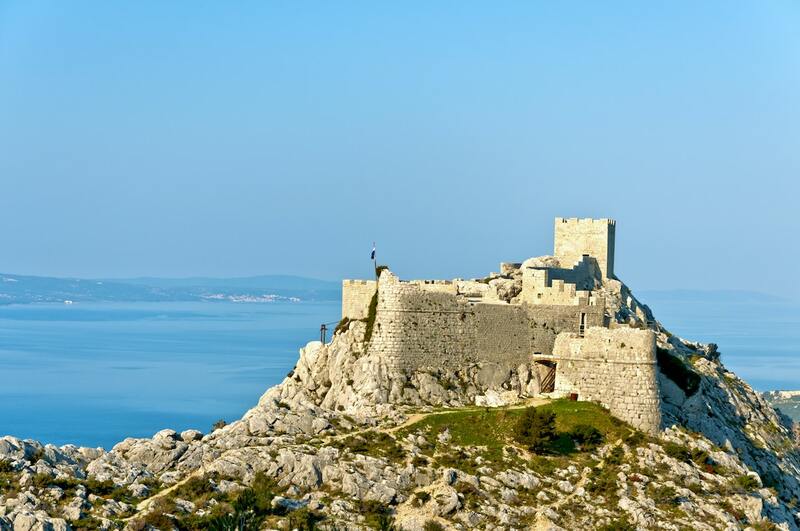 Thanks to its position on the Mediterranean, Omis became a true pirate city, bandits who were really famous for being dangerous and even the Republic of Venetia and the Turks where afraid of them. Nowadays, tourists can still admire these ferocious traces thanks to the historical buildings that surround the beaches. Anyway, Omis is not famous only for its pirates, but it is also a natural beauty, with its splendid beaches, the mountains behind the centre and the hills where you can find olives and vineyards. In recent years, after the Balkan war, Omis and the whole region developed a new sense of tourism, based on its traditions, on its natural beauties and of course also on the hospitality of Croatian people. 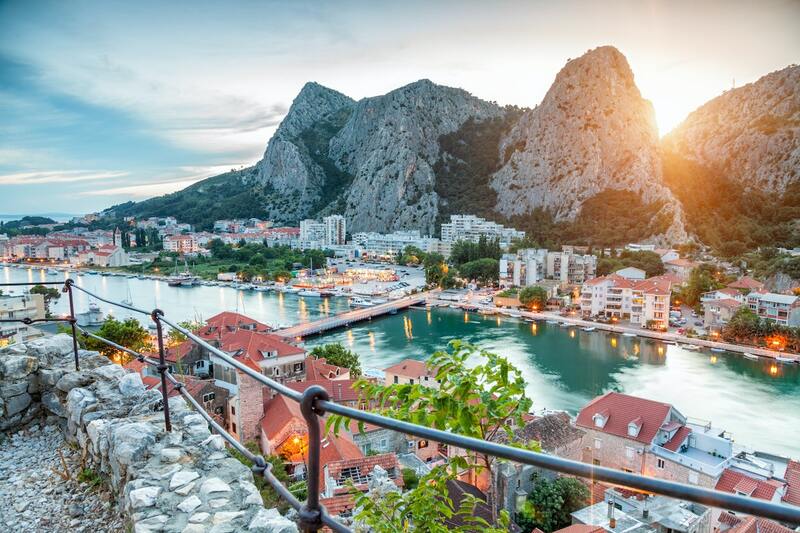 Therefore, in Omis you will find every kind of attraction, from active sports to relaxing seaside bars, from museums to traditional restaurants. Well, you just need to book your holidays and come to discover the pirate city! The fortresses. In the city you will find two fortresses, the Mirabella, famous for its steps and from which you can admire the whole city from above, and the Starigrad fortress, which is even higher due to the fact that is built on a mountain! The churches in the city tell to every visitor a different story, different beliefs and of course, uncountable artworks. Sports! A bit of adventure in your holiday is a must! So try one of these activities in Omis: rafting, climbing, windsurfing and many more! The night of the pirates. Well, it’s the city of the pirates so there’s a night devoted to them, of course. During summertime, you will assist to a lot of shows representing pirate adventures but the most famous one is in August, when a sea battle and many other competitions take place in the city. Beaches. Do you say that you want to relax? No worries, in Omis you will find 1,5 kilometers of sand beach ready for you!